Rick has been a member of the WFPL News team since 2001 and has covered numerous beats and events over the years. Most recently he’s been tracking the Indiana General Assembly and the region’s passion for sports, especially college basketball. 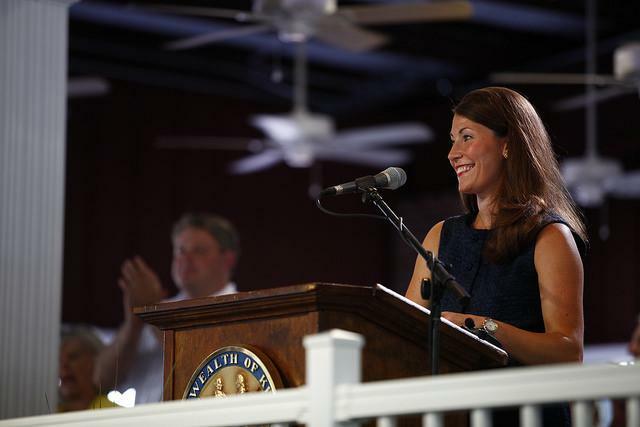 The latest Bluegrass Poll in Kentucky’s U.S. Senate race gives Democratic challenger Alison Lundergan Grimes a two-point lead over incumbent Republican Mitch McConnell. The survey of likely voters has Grimes with 46 percent support and McConnell getting 44 percent. Libertarian candidate David Patterson has three percent, with seven percent of voters undecided. The margin of error is plus or minus four points. A formal announcement is expected next month that Louisville is getting a professional soccer team. 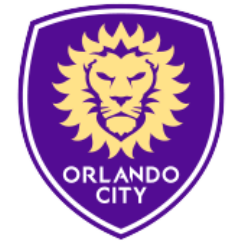 Architect Wayne Estopinal is among a group of local investors behind a plan to bring the successful Orlando City franchise to Louisville. Mayor Greg Fischer’s new budget proposal includes a $581,000 appropriation to make Slugger Field soccer compatible. Estopinal says the soccer team would begin play at the ballpark next spring. The University of Kentucky Wildcats are preparing for their matchup against Wisconsin Saturday night in the men’s NCAA Final Four. UK advanced to the national semifinals Saturday with a three-point victory over Michigan. Some had begun to give up hope of any UK tournament success as far back as early March, when the slumping Wildcats lost at 10-18 South Carolina. The University of Louisville’s 2014 Grawemeyer Award for Ideas Improving World Order goes to a professor and researcher for his writings on nuclear proliferation. Jacques Hymans is associate professor of international relations at the University of Southern California. He’s being honored for his 2012 book, "Achieving Nuclear Ambitions: Scientists, Politicians and Proliferation." One of the legends of Kentucky’s bourbon industry has died. 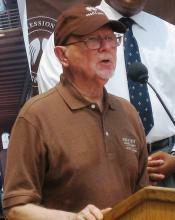 Longtime master distiller Lincoln Henderson died Tuesday at the age of 75. 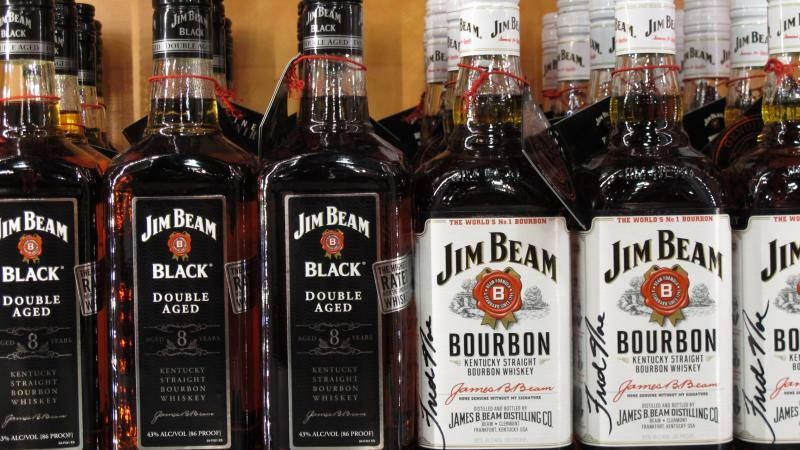 Henderson spent 40 years as master distiller for Louisville-based Brown-Forman Corporation, helping develop brands such as Woodford Reserve and Jack Daniel’s Single Barrel. Henderson came out of retirement in 2006 to start a new brand, Angel’s Envy, with his son and grandson. The University of Louisville baseball team is preparing for the program’s first College World Series appearance since 2007, and just the second in school history. This will be the first trip to the tournament in Omaha, Nebraska for coach Dan McDonnell’s players, but he’s been there twice, both as a player (with the Citadel in 1990) and a coach (U of L in '07). 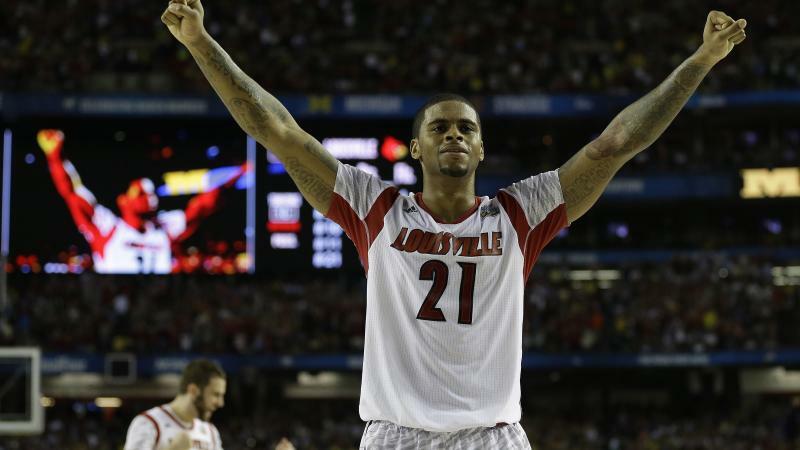 University of Louisville fans have had a lot to cheer about lately — and not just basketball. Monday's big victory by Louisville's men's basketball team over Michigan is just the latest success for the school and for an athletic department that is quickly becoming one of the country's most admired. In January, the football team upset fourth-ranked Florida to win the Sugar Bowl, and coach Charlie Strong turned down a lucrative offer from the University of Tennessee to continue rebuilding the Louisville program. Photo courtesy Commonwealth of Kentucky. 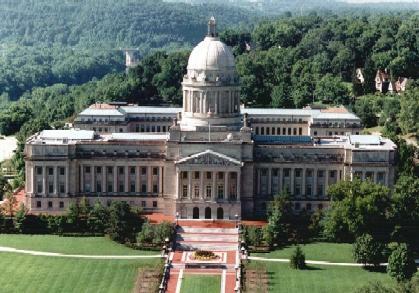 Tomorrow marks the second of three furlough days in Kentucky’s state judicial system. Courthouses across the state will be closed as part of the system’s budget cutting plan. Most court operations, including pre-trial services, driver license branches and bond processing will be shut down. Kentucky Derby and Preakness winner I’ll Have Another’s racing career is over. The colt’s handlers withdrew him from tomorrow’s Belmont Stakes after a swollen tendon was discovered in his left foreleg. Owner Paul Reddam says he'll be retired. I’ll Have Another was the 4-5 favorite to win the Belmont Stakes and become racing’s first Triple Crown winner since 1978.